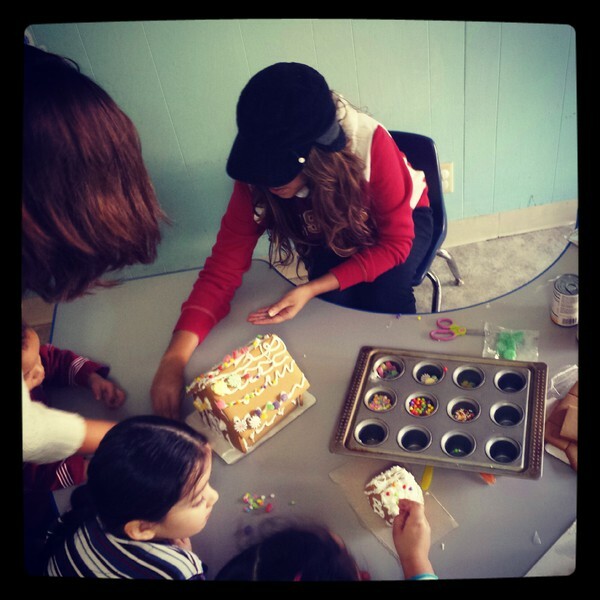 Chicas Latinas de Sacramento is going on a “Winter Break” as the holiday’s come to an end. We’re preparing for the upcoming tax season, an approved 501(c)3 nonprofit status (crossing our fingers! ), opening board of director positions to the community, and planning for our 5-Year-Anniversary in April! Our sites may become inactive, we may not return your email/call promptly, but our regular programs will continue. The best is yet to come! Please be patient with us as we lay the foundation for a great 6th year serving in the Sacramento community. Chicas Latinas members, join our 5-Year-Anniversary planning committee! We have functioned without a budget or staff for nearly 5 years and we’re excited for the bright future which awaits us. Imagine what a difference we’ll be able to make with increased resources. Chicas Latinas de Sacramento encourages the community to join us, Latina or not! Thank you Sacramento for your support in 2013… we’ll see you soon!!! 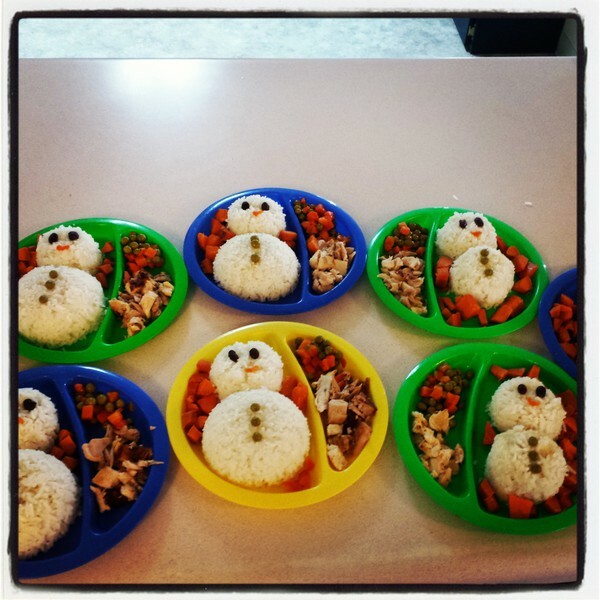 Chicas Latinas de Sacramento members made a special visit to the Sacramento Crisis Nursery last week. 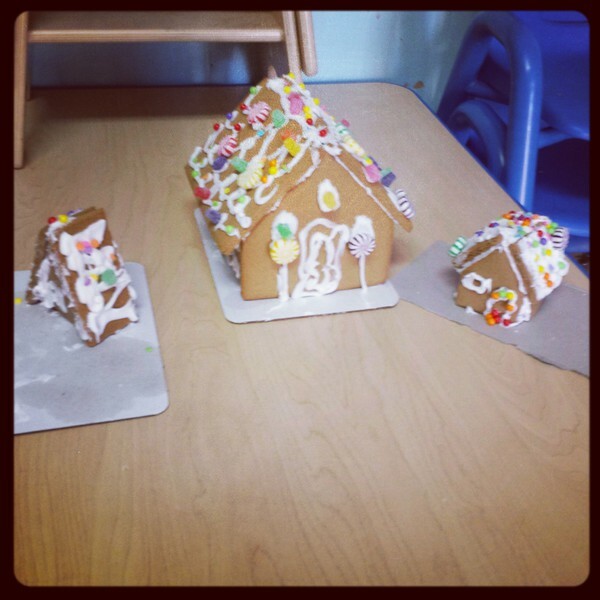 Our volunteers provided a (healthy) holiday lunch and built gingerbread houses with the children staying at the emergency crisis shelter in Sacramento (ages 0-6). 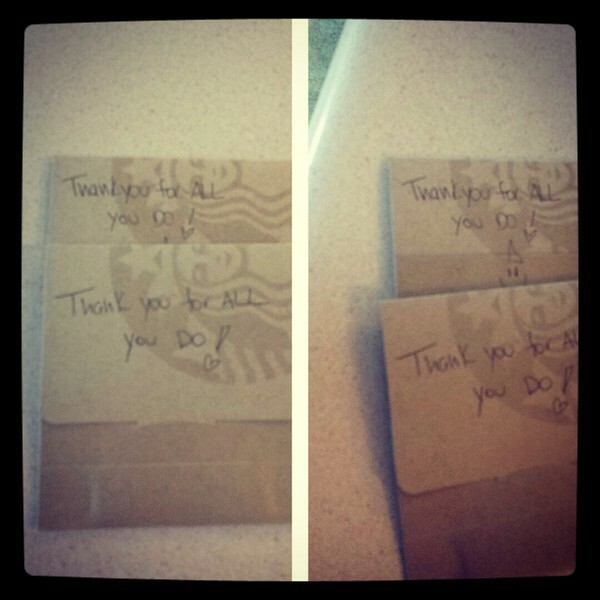 The staff were also provided with a holiday treat, Starbucks gift cards! 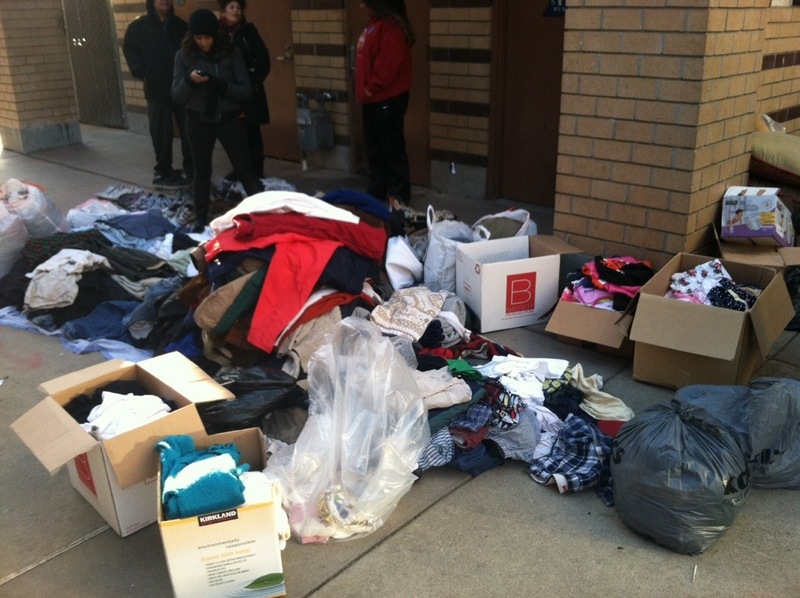 Thank you Chicas Latinas for your donations, your time, and your giving spirit!!! 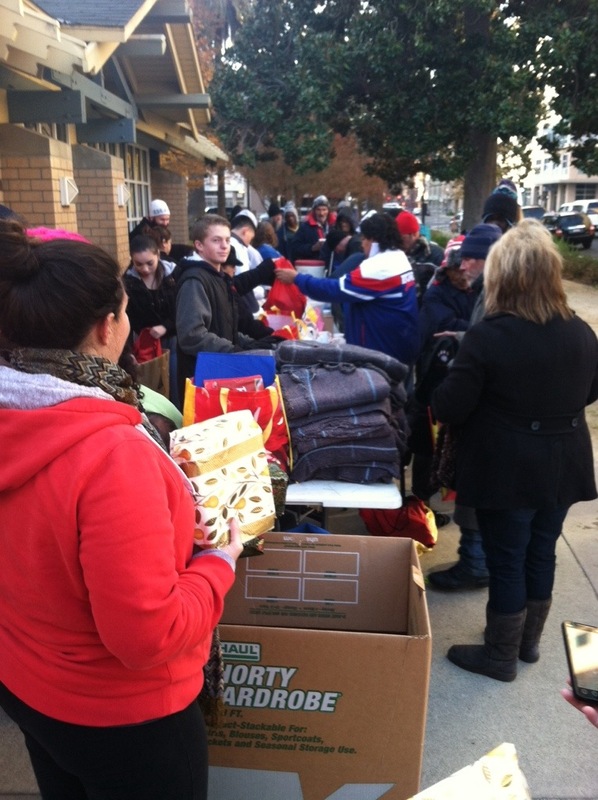 Holiday Care Packages for the Homeless, Christmas 2013 Success! Huge thank you to everyone who helped make Chicas Latinas de Sacramento‘s Holiday Care Package for the Homeless donation drive and distribution a great success!!! We joined Sacramento community organization C.A.F.F.E. early Christmas morning and helped feed, clothe, and give Chicas’ Holiday Care Packages to the homeless – with the help of our friends, we were able to serve nearly 300 homeless this holiday season. Special thank you to Sol Collective for donating space for our wrapping days and for being a drop-off location for care package donations, and thank you to Casa de Español who donated and delivered 50 completed Holiday Care Packages to us! 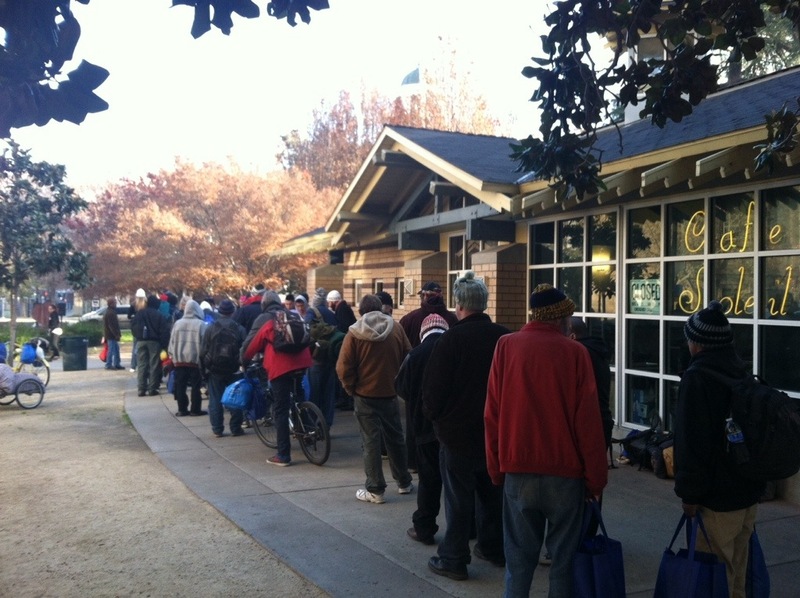 Pictures from Christmas Day at Cesar Chavez Park with C.A.F.F.E. 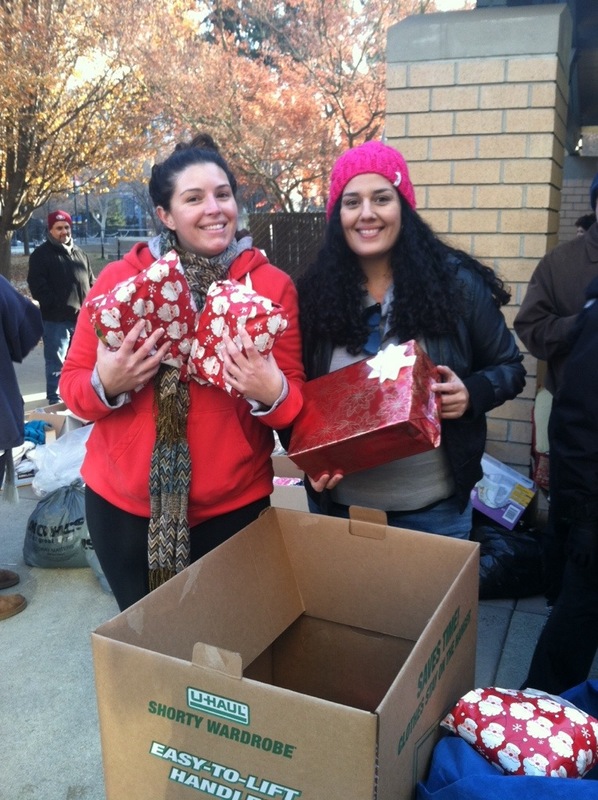 Program Assistant, Natalie Ramirez and Board Member, Patti Diaz helping hand out Care Packages to the less fortunate. 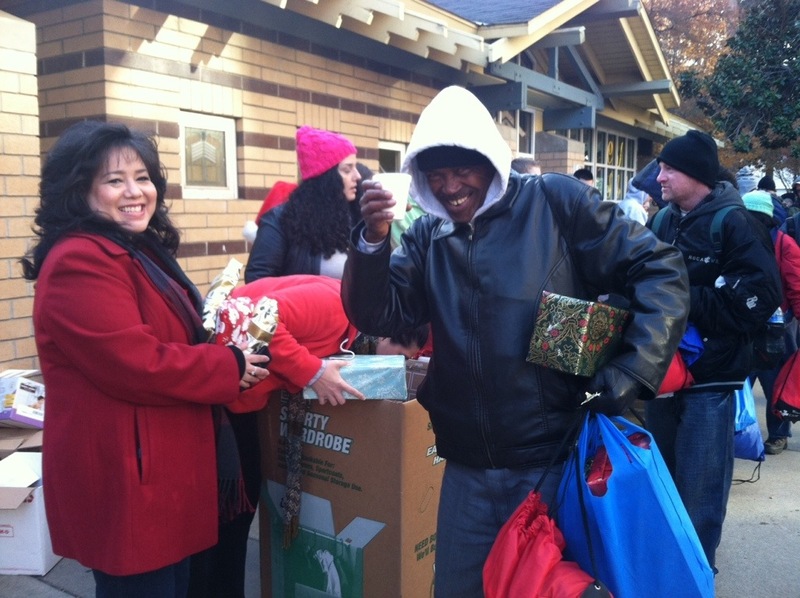 Just because the “season of giving” is behind us, doesn’t mean we stop giving! C.A.F.F.E. 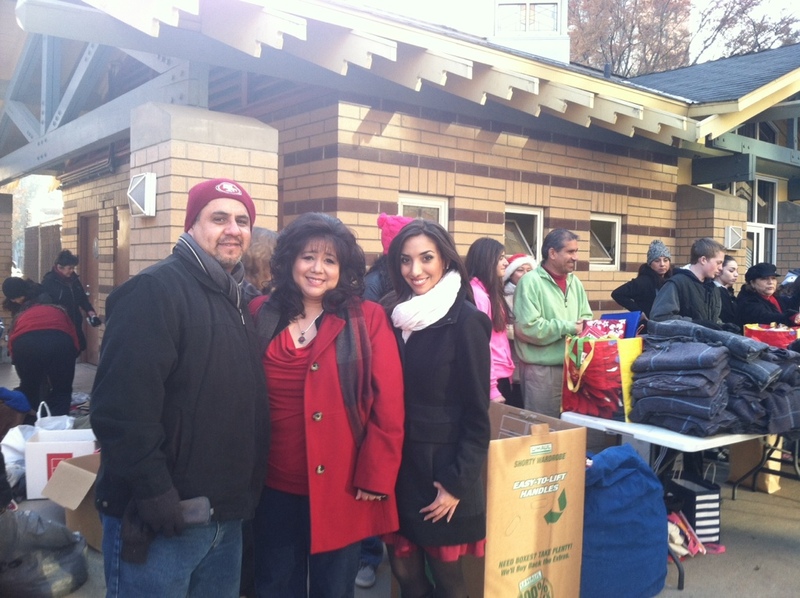 and Chicas Latinas de Sacramento members help feed and clothe the homeless EVERY OTHER SUNDAY at Cesar Chavez Park. Please feel free to join us, donate, and give year round!